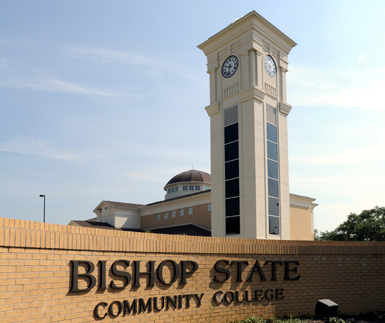 Bishop State Community College is one of the most searched for colleges in America, according to a recent internet keyword search of basic two and four year colleges. Bishop State is a public, two year, urban community college that was established in 1936. All four of the school's campuses are located in and around the city of Mobile, in southwestern Alabama. Although Bishop State is a “historically black” college, these days only about 28 percent of the students in attendance are from a minority group. Bishop State has an enrollment of approximately 3,000 students during the school year. Roughly half of the student body is enrolled full time. About 95 percent of students attending Bishop State are Alabama residents. This is because Bishop State costs twice as much in tuition for out of state residents. Notable grads of Bishop State include Jessie Tompkins, a nationally ranked athlete who once led a lawsuit against whites-only scholarships at Alabama State University. Scroll down for the answers to more frequently asked questions about Bishop State Community College. 1. Where is Bishop State Community College? The main campus is located at 351 North Broad Street. The Banker-Gaines Central campus is located at 1365 Dr. Martin Luther King Jr. Avenue. The Carver campus is located at 414 Stanton Road. The Southwest campus is located at 925 Dauphin Island Parkway. Conveniently, Bishop State also offers classes at several off-campus locations, such as Baker High School, Citronelle High School, Mary Montgomery High School, Theodore High School, and McIntosh High School. Online classes are also offered, so students of Bishop State can study from anywhere they like. 2. What courses and programs are offered at Bishop State Community College? Bishop State offers seven academic majors and four technical majors. The academic division of Bishop State includes Education, Information Systems, Humanities, Natural Science and Math, Business and Economics, Social Sciences, and non clinical Health professions such as medical transcription. The technical division of Bishop State offers Commercial & Industrial Technology, Consumer & Transportation Technology, Engineering, Construction, Welding Technology, Workforce Development, and Clinical Health courses. Most of the degrees awarded at Bishop State are in technical and vocational fields. Students who are working on their bachelor's degrees can often transfer credits from courses taken at Bishop State. 3. What types of certificates and degrees are available at Bishop State Community College? Technical degrees and certificates available from Bishop State include the Short Term Certificate, the Long Term Certificate, and the Associate Degree. To be able to award these degrees and certificates, Bishop State is accredited by the Southern Association of Colleges and Schools Commission on Colleges. Some certificates can possibly be used as transfer credits toward a degree from a university or a four year college. 4. Who should attend Bishop State Community College? Bishop State College is an appropriate choice for most Alabama residents, but especially for those who live in or near the city of Mobile. People who wish to obtain degrees from universities can save a fair amount of money on their college educations by attending a two year college like Bishop State. From here, students can transfer to four year colleges, and still earn the same university degree they would have earned if they had entered the university during freshman year. Bishop State is also well known for its trade school programs, which licenses people to find employment and/or helps them improve their skills at existing jobs. 5. Why attend Bishop State Community College? Why should we enroll at a community college, as opposed to a university? The most often stated reasons for attending two-year colleges are convenience and cost effectiveness. Other benefits include greater scheduling flexibility, more personal freedom, and a much less stressful environment. Bishop State offers vocational and career training, transfer credits, and community service activities. Community Colleges are also a whole lot more accessible than universities. In the event that Bishop State doesn't meet your particular needs, other nearby community colleges and trade schools include Enterprise Ozark Community College in Mobile, Remington College in Mobile, Virginia College in Mobile, and Faulkner State Community College in Bay Minette. 6. How much does it cost to attend Bishop State Community College? According to the Bishop State College website, the initial tuition to attend this school is $119 per credit hour for Alabama residents. For out of state residents, the tuition is $238 per credit hour. A typical class at Bishop State is worth three or four credits. Additional fees include a technology fee of $9, a facility renewal fee of $9, a special building fee of $10, and a bond reserve fee of $1. The total in additional fees comes to $29 per credit hour, so the actual cost of enrollment at Bishop State is $148 per credit hour for Alabama residents, and $267 per credit hour for out of state residents. Tuition and fees can be paid by cash, credit card, debit card, cashier's check, or money order. Bishop State offers free tuition to local seniors age 60 and older, although the cost of books and additional fees still apply. This scholarship pays up to 4 credit hours per semester. 7. How long does it take to earn a degree or certificate at Bishop State Community College? Typically, it takes one or two years of successful full time enrollment at Bishop State to complete the requirements of the certificates and degrees that are offered. However, you can also choose to enroll at Bishop State as a part time student taking fewer credits per semester. In this case, it will take longer to get your degree. Another option is to accelerate your studies, take on more than a full time study load, and earn your degree sooner. In other words, it's primarily up to you how long it will take to earn your degree or certificate from Bishop State. 8. What is the Bishop State Community College campus like? The Bishop State main campus features more than 20 buildings, some of them with notable architectural merit. This campus is home to the Caldwell School, a former African American elementary school built in 1947. The Caldwell School is now listed on the National Register of Historic Places. Bishop State's main campus also features a library and a well stocked bookstore. On-campus student activities at Bishop State include all sorts of student interest groups, along with a number of intercollegiate sports. Campus organizations include a hair styling association, a cheerleading squad, a culinary arts group, a choir, a band, and a campus ministry, to name a few. The sports teams at Bishop State, known as the “Wildcats,” play baseball, basketball, and fast pitch softball. The Wildcats play in the Alabama Community College Conference of the National Junior College Athletic Association. 9. What is the Bishop State Community College neighborhood like? Bishop State's main campus is near downtown Mobile. Within walking distance are a Family Dollar store, a Dollar Tree store, and about half a dozen Baptist churches. Just a few short blocks southeast of campus is the Gulf Coast Exploreum Science Center, which features 3D movies. Other nearby attractions include the Mobile Civic Center and the Mobile River. The Central campus of Bishop State (Banker-Gaines), is located about a mile and a half northwest of downtown, and is surrounded by several churches and a nearby community center. The Carver campus is located just a few blocks southeast of the University of South Alabama. Nearby points of interest include Three Mile Creek and several beautiful green parks. 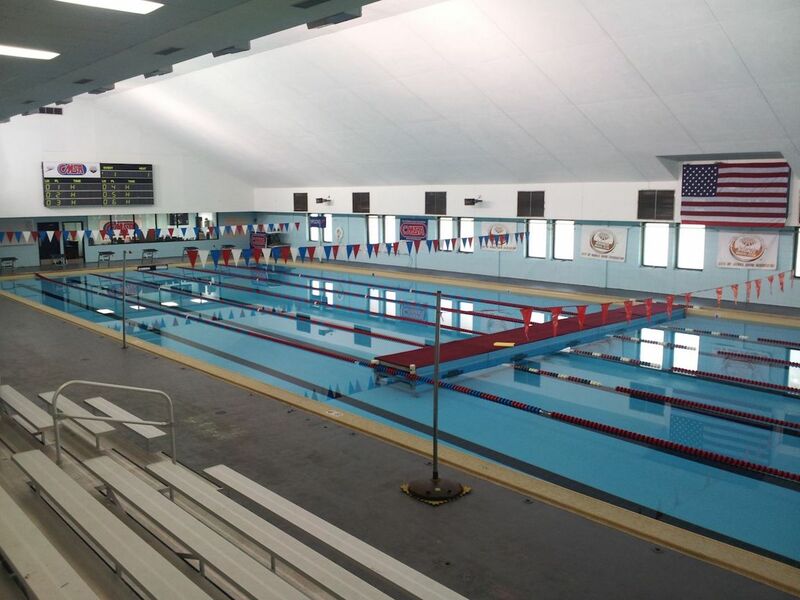 The Southwest campus is located just south of a flea market and several places to eat, and a short distance west of Baumhauer Park. 10. Does Bishop State Community College offer distance learning? Yes. Bishop State offers online courses under the same admission requirements as their classroom courses, including the same cost per credit. The college features a separate “electronic campus” website. Online course offerings include health programs, computer information systems, process and instrumentation technology, manufacturing technology, humanities, social sciences, math, and business, among others. Click here to see More Than 50 Top Online Colleges. 11. What is the contact information for Bishop State Community College? You can reach the main campus of Bishop State College by calling 251-405-7000. Or you can call toll free at 800-523-7000.